Hi, we’re Linx Impulse! We are born as a business unity from the union of 4 top-grade companies, Neemu, Chaordic, Percycle and Shopback. Our objective is to give a complete solution to on and offline stores, going along throught all the customer journey and generating memorable and customised experiences. We are Big Data for real, terabytes of data passes through here per day. Also, we have pentabytes of data stored and reach an average of 500,000 rpm (requisitions per minute) on ours systems daily. 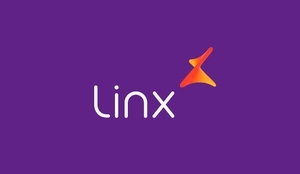 As a Big Data Software developer, you will join our platform team at Linx Impulse. The type of problems we solve are rather deep and diverse: you'll need to know how to store terabytes of data; how to process it; and finally, how to make it accessible with security and efficiency. The challenges related to storing are mostly of practical nature: terabytes of data processed daily must be readily available in a high-availability environment, using fast and predictable data retrieval techniques. To achieve that you will make use of innovative technologies related to distributed computing to handle a gigantic volume of information, in a short period, with the expected results. The most commonly used techniques use MapReduce frameworks such as Apache Hadoop and Spark, but other tools can be (and are) used in many particular cases. And the challenges related to information accessibility are related to creating the most adequate way of access depending on the application: by means of a high-performing REST API, following a service oriented architecture; by a stream of data for creating real time applications or maybe efficiently stored raw data for batch processing. Fluency in Java or Scala (or ability to acquire it in short time) is a must. Experience with modern data technologies such as Cassandra, Kafka or Elasticsearch is also a plus. Our office is located in the Lagoa da Conceição, near the neighborhood center. We won the award "Highlight Award - Interior Offices" by the X Corporate Architecture award. The people here stays really comfortable. We walk barefoot (and slippers when is cold), play snooker and drink a beer when there’s a commemoration.